I’m doing some workshops on Place and community soon as I fear the obsession with Location and individual in design. There’s a deeper problem too. It’s in the basic epistemology of Western design. The foundational ideas of Greek philosophy still affect us now. 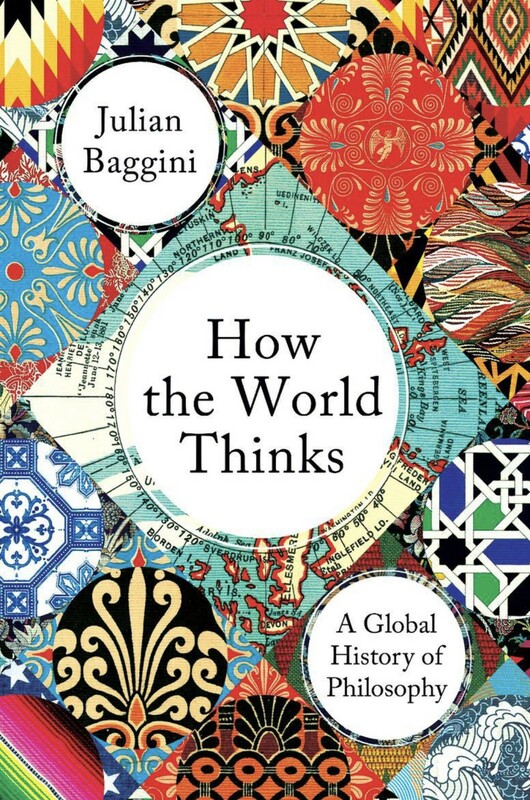 Reading Julian Baggini’s “How the world thinks” it’s possible to see the missing parts in modern Western beliefs. They are visible when comparing philosophies across the world and also comparing them over time (offhand I’ll be doing some workshops on this kind of informational mapping in 2019 too). There are two ideas I’d like to mention in this post. Both are originally in Greek philosophy but their importance got lost over time. Modern design is locked into the obsession with data. Proof of need and use is shown thru quantitative data. The proof must be successfully argued thru data in logical argument. However, the Greeks also believed in knowledge that comes from experience gained over a person’s lifetime. Well, not quite lost. Disrespected is a better word. Designers who work in participatory and codesign talk of lived experience and ethnographers try to argue with qualitative data. Yet…everyone knows that data is quantitative and arguments are rationally logical. We lost the symmetry that lived experience and instinct are valuable proof too. The digital design world is founded on events – exactitude of time underlies when and where people do things (NB the GPS system is all about clocks). Time: exact time defines design. Again, this is only one side of how time was thought of in Greece (and there many more forms in other philosophies). The Ancient Greeks believed that timeliness was important. That events should be judged by their serendipity for people. Compared to Phronesis and lived experience, Kairos is very lost. That design should work with an almost random and immeasurable form of time that is linked to human experience is just too hard. The strength of chronological time (and how that has infected Location thru GPS) is just too great. Yet everyone knows they experience Kairos. They just don’t discuss it in public. (This is similar to the embarrassment of discussing transcendent experiences – over 70% of people have had them yet few, in the West, are willing to speak of them). Losing Kairos means we have lost an alternative human-centered notion of experience design. In the end, these lost elements of philosophy mean that not merely is design unable to fully accommodate human experience but also unable to have meaningful ethical discussions. The lost symmetries mean that design ethics are hobbled. We can only see realities defined by part of the philosophies. Data, logic and mechanical time define the limits of arguments. We lost the words and ideas that create a broader human-centered area of ethical discussion. We need to respect human experience to design for humans. 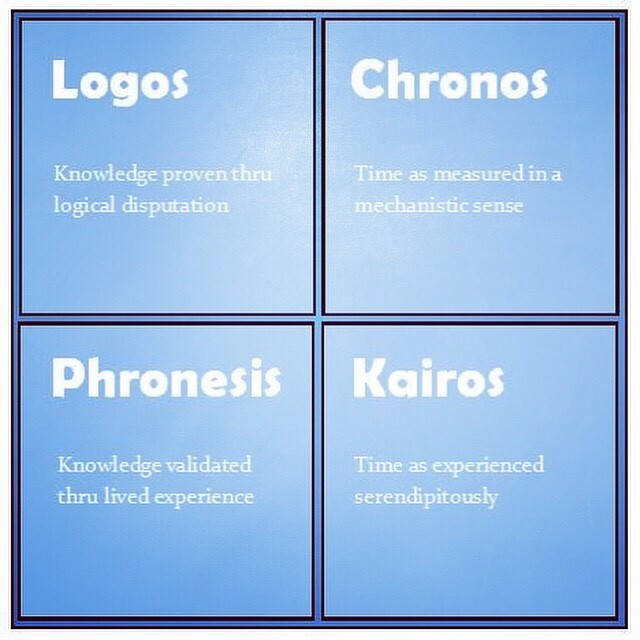 Phronesis and Kairos are ways of starting to respect that there is more than logical data and chronological time. And that’s just a start – there’s a whole world of philosophies to explore together. I’m loving the ideas of Action Intuition from Japan as my start.